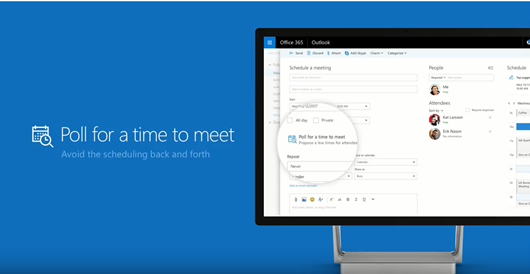 FindTime functionality is directly available in Outlook on the web as a preview. FindTime is even easier to access (beyond an add-in) to help more people save time. As of today, FindTime functionality is directly available in Outlook on the web as a preview. Now you can “Poll for a Time to Meet” in Outlook on the web. Click Poll for a time to meet. We originally launched FindTime through the Garage, which is Microsoft’s official outlet for experimental projects from small teams across the company. As we continued refining FindTime, we knew that we were onto something when many of our users started recommending the service to their co-workers and friends because of how much time FindTime was saving them. Since FindTime was an add-in for Outlook, we decided that the best way to help even more people save time was to make meeting polls available directly in Outlook on the web. With “Poll for a Time to Meet” now available in Outlook on the web, we are discontinuing FindTime as an add-in for Outlook on October 1, 2017. What will happen to my existing meeting polls? FindTime will continue to operate until Oct 1st, 2017, at which point we will discontinue the add-in and service. The plug-in will no longer be available to schedule meetings and attendees will be unable to vote on meetings. Polls that are still open and not finalized will be discarded. Any meetings where voting has closed and the meeting has been scheduled will be unaffected. 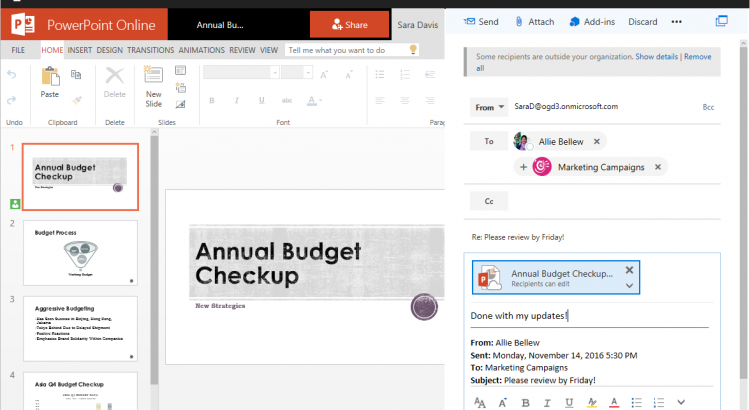 To continue saving time when scheduling meetings, we recommended transitioning to Outlook on the web at http://www.office.com. What happens if I don’t see “Poll for a Time to Meet” in Outlook on the Web? 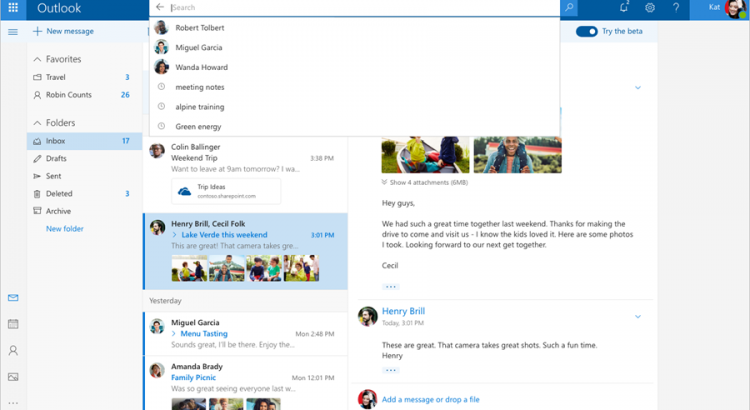 Although most FindTime users should be able to see “Poll for a Time to Meet” in Outlook on the web immediately, some users may not be able to see it yet. We recently started rolling out the feature, and in some cases, it may take up to a week to become visible. 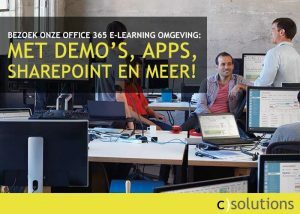 Although FindTime users should already have access to “Poll for a Time to Meet,” you can also ensure that you and your organization have access by asking your O365 Administrator to join the First Release Program. We want to make sure you’re able to use Outlook on the web to take advantage of “Poll for a Time to Meet”. If you need any assistance, you can submit your feedback via User Voice. 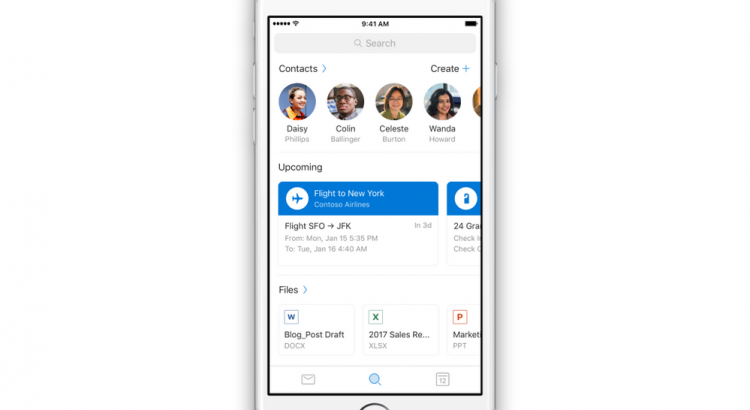 We’re releasing a preview of our new, more intelligent search in Outlook for iOS and Android, announced in July, to Outlook Insiders. This update is designed to help you find the information you’re looking for more quickly and efficiently. Outlook.com beta, an opt-in web experience where you can try out new product innovations and let us know what you think. 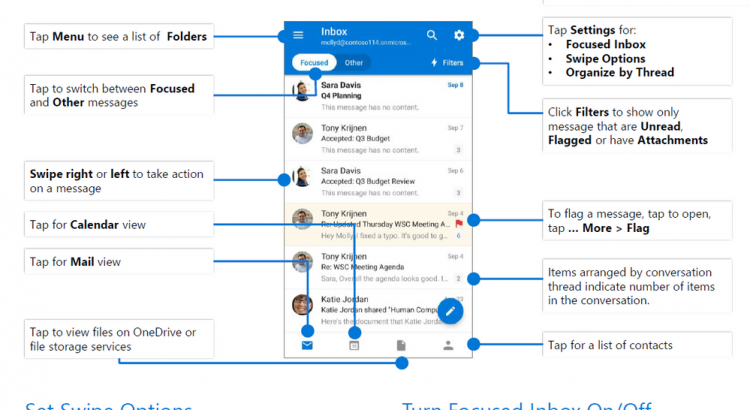 Recent advances in programming, design, and artificial intelligence have enabled our engineers and designers to improve the Outlook.com web experience in several areas—and we’re eager to get your feedback. If you enjoy being a part of what’s next, just click the Try the beta toggle, rolling out to all users in the next few weeks. You can test drive our new experience and switch back to the regular web experience any time. Do you need to organize and work with a team on a project? 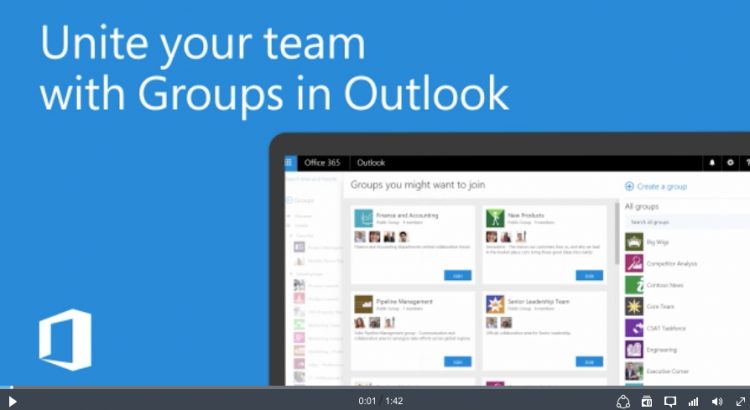 In this tutorial, learn how to use Office 365 Groups to find and share information using conversations, share and collaborate on team files, share milestones and schedules on the team calendar, add and assign team tasks using Microsoft Planner, and add new members to your group so they can get caught up with the team.